Like they say, bad things happen in the dark! That is especially true for power tools. A power tool must be used only in a well-lit environment. If you’re feeling overconfident or lucky, don’t use a power tool, because you might end up cutting the wrong piece of wood -- or your finger. Let’s just put it this way: All power tools are equally dangerous, but some are more dangerous than others. Be careful of tools like a nail gun. While boosting productivity, they are also responsible for tens of thousands of painful injuries each year. People even get nailed in the eye. Don’t ever point a nail gun at somebody. Be careful of tools like power belt sanders and miter saws. They can be very tricky to control. Keeping your work area clean is probably the most important rule, and it is universally applicable, but it is especially important for those who work with power tools. Make sure there is no clutter for you to trip over while using that circular saw. Weekend warriors tend to create a huge mess while working. Keep it clean if you don’t fancy collecting disability checks. Regular inspection is very important before you use any tool. Don’t try to use your grandpa’s rusty, old Bosch power drill without checking if it works properly. Make sure the all moving parts can move freely, otherwise the tool might catch fire while in operation. Every job demands a proper uniform. The same way you wouldn’t go to a board meeting in a wedding gown, you shouldn’t use power tools in baggy clothes. 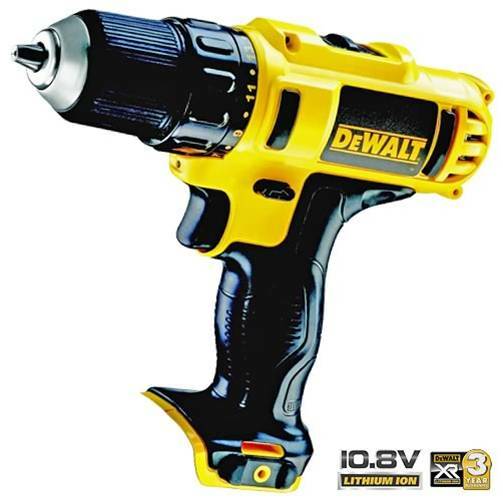 Power tools have moving parts that rotate extremely fast. Long hair, loose cuffs and untucked shirts often get caught in these power tools. The proper gear should consist of heavy-duty gloves, body-hugging clothing, safety goggles and helmet. Anything short of that is unprofessional and dangerous. Have you ever tried to unscrew a screw with a pointed knife? Knowing which tool to use for a particular job is as important as knowing how to operate it. Every tool is made for a particular job, and it is important that you figure out which tool is right for your requirement. Reading instruction manual that came with the tool is one way to figure out the jobs it is suitable for. Mike is a DIY enthusiast who has built things as small as airplane models and as big as guest houses for his DIY projects. He recommends and writes for dewalt power tools on a freelance basis. That is an impressive piece of work. The house shed extension was constructed by timber frame and panels.